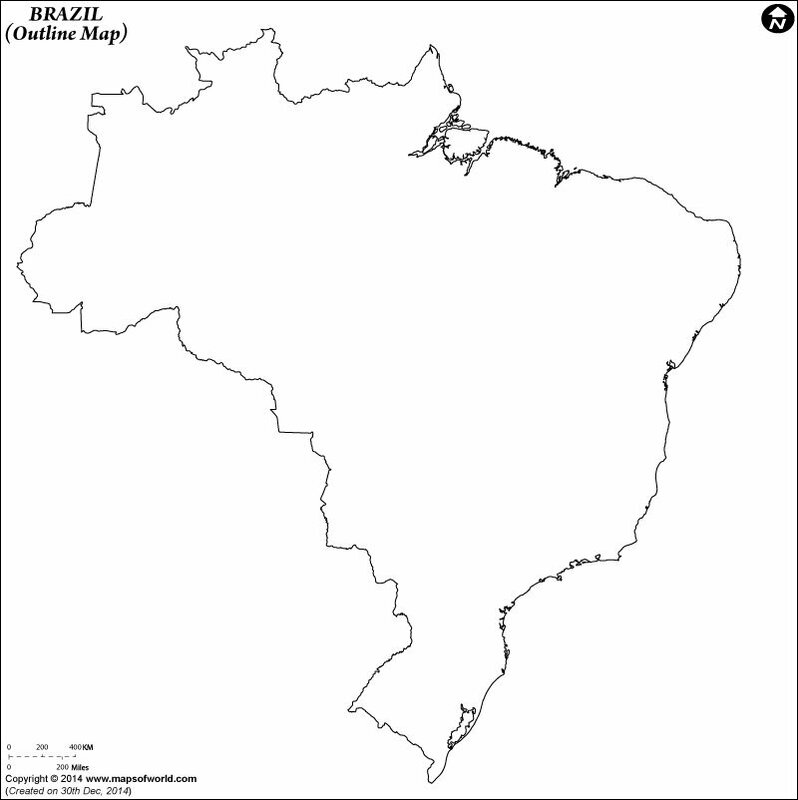 Click to view pdf and print the Brazil Outline Map for kids to color. Click to view pdf and print the Blank Map of Brazil for kids to color. The outline map of Brazil, which is the largest country in South America, is highly useful for educational purpose as kids can download and print it for school or classroom use. Anyone who wants to know the country in details, can try putting information and marking places on Brazil Outline Map. While kids can color this map as a part of their homework, the adults can try showing the states, cities, physical feature, and other details on the map. Whether you want to test your geographical skills by marking the 26 states and the Brasilia Federal District or you want to plot the number of beaches located along the Atlantic coast, this outline map helps you to get started. 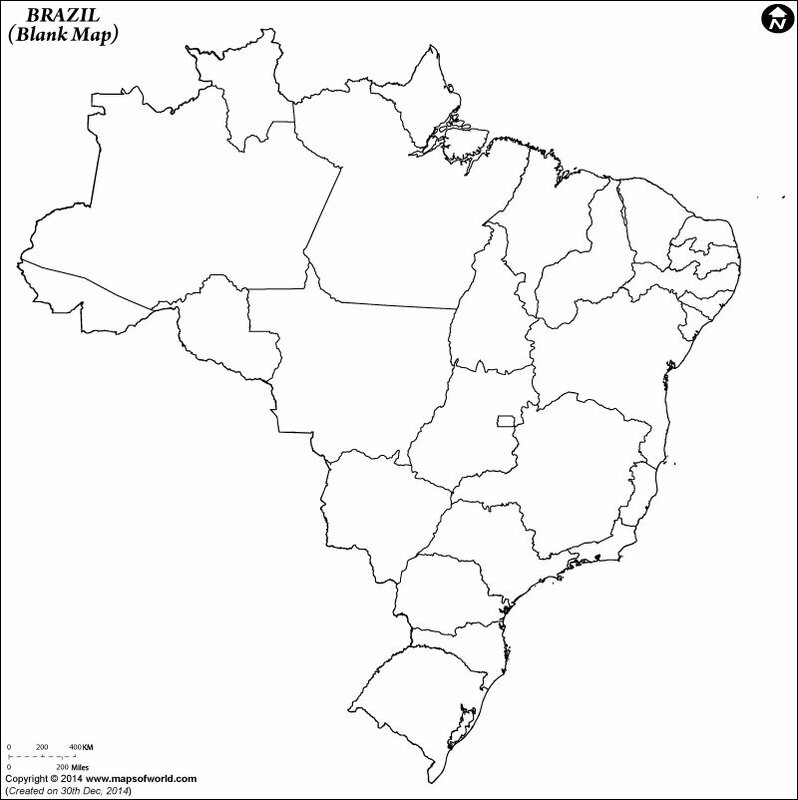 The Brazil Outline map is widely used by students for mapping practice. Its border is clearly depicted and the neighboring countries such as Bolivia, Paraguay and Uruguay are not shown so that users have to depend only on their knowledge to do map pointing. NEIGHBOUR COUNTRIES: Venezuela, Guyana, Surinam, Colombia, French Guiana, Peru, Bolivia, Paraguay, Argentina. OCEANS, SEAS, RIVER, BAYS & CANALS: Atlantic Ocean.